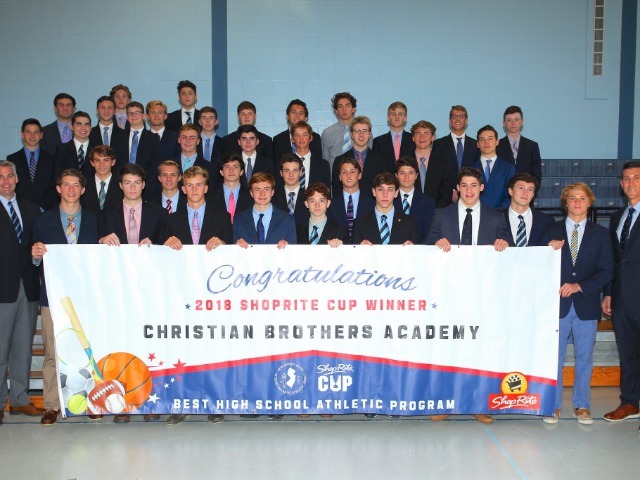 For the 10th time in the 15-year history of the award, Christian Brothers Academy won the 2018 NJSIAA/ShopRite Cup for best non-public athletics program, which was celebrated on Wednesday morning with a special ceremony. "Congratulations to CBA for winning your 10th ShopRite Cup in 15 years," said Rick Saker '00, vice president for operations at the ShopRite Corporation. "On behalf of my family, many of whom also attended the Academy, it is my honor to be here to present this great award to all of these athletes." It is the fourth consecutive year that the Colts have topped the standings, marking the longest consecutive streak in the history of the non-public division. CBA had previously won the Cup three times in a row on two different occasions (2004-2006, 2011-2013). 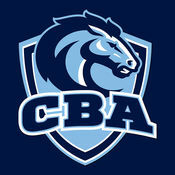 CBA won the 2018 title by 46 points over rival Delbarton School. Saker and the NJSIAA's Bill Bruno '71 were on-hand to present the 2018 Cup to Principal Ross Fales and Director of Athletics Vito Chiaravalloti. 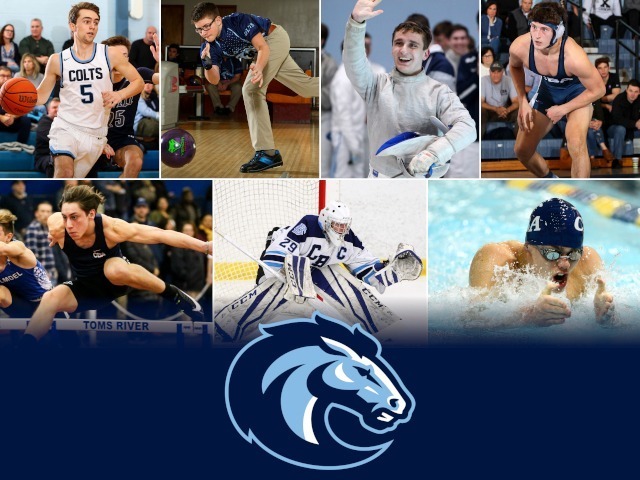 "Once again, our student-athletes and coaches have carried on the CBA tradition of excellence, while successfully raising the bar for future Colts to strive for," Chiaravalloti said. "It is an honor to yet again win the NJSIAA/ShopRite Cup. It is a reflection of the hard work and commitment by every coach, student-athlete, and staff member at CBA. 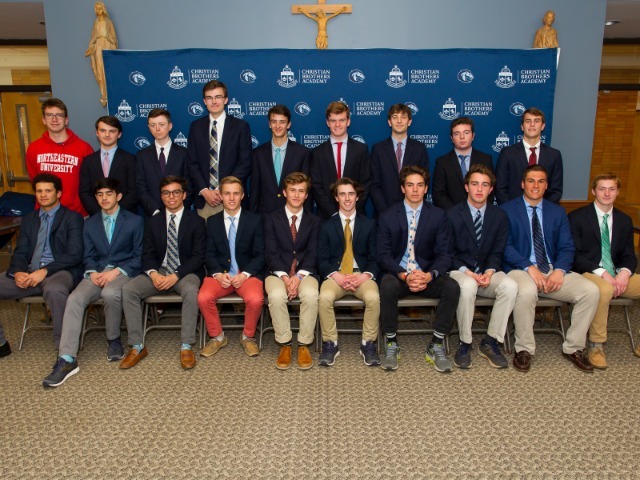 What I am most proud of is how our young men put faith, family, academics, and sportsmanship above winning, which truly embodies our Lasallian mission and ideals." 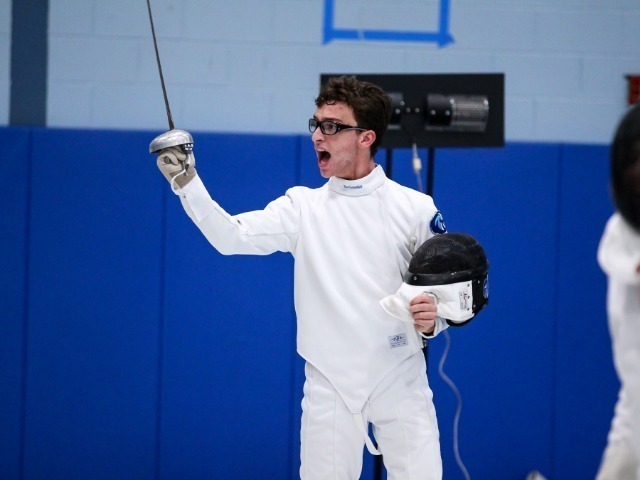 The ShopRite Cup is determined through a points system designed by the NJSIAA, which rewards schools for high finishes in NJSIAA-sanctioned state events. All sports at CBA are governed by the NJSIAA, except crew, rugby and sailing which have independent governing bodies. 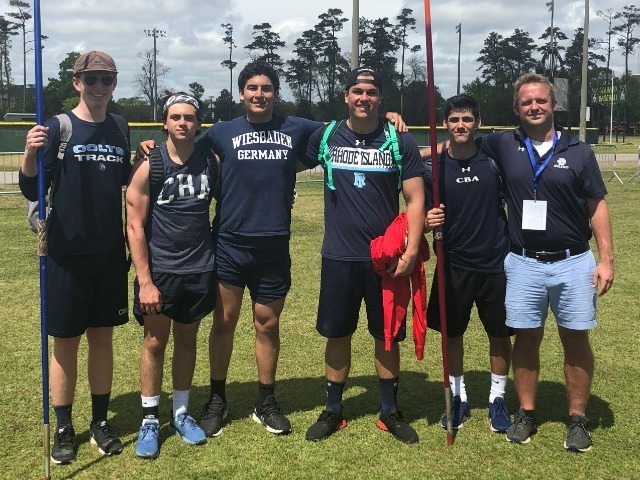 The Colts had NJSIAA state championship teams in cross country, golf, indoor track relays, indoor track overall, outdoor track, and swimming. Meanwhile, both soccer and tennis were state runners-up, winning their sectional championship. Ice hockey and lacrosse advanced to the final four of each of their state tournaments. In addition, CBA earned sportsmanship bonus points for having zero player or coach ejections across as a school across all three seasons. Christian Brothers previously won the ShopRite Cup in 2004 (inaugural year), 2005, 2006, 2011, 2012, 2013, 2015, 2016 and 2017.